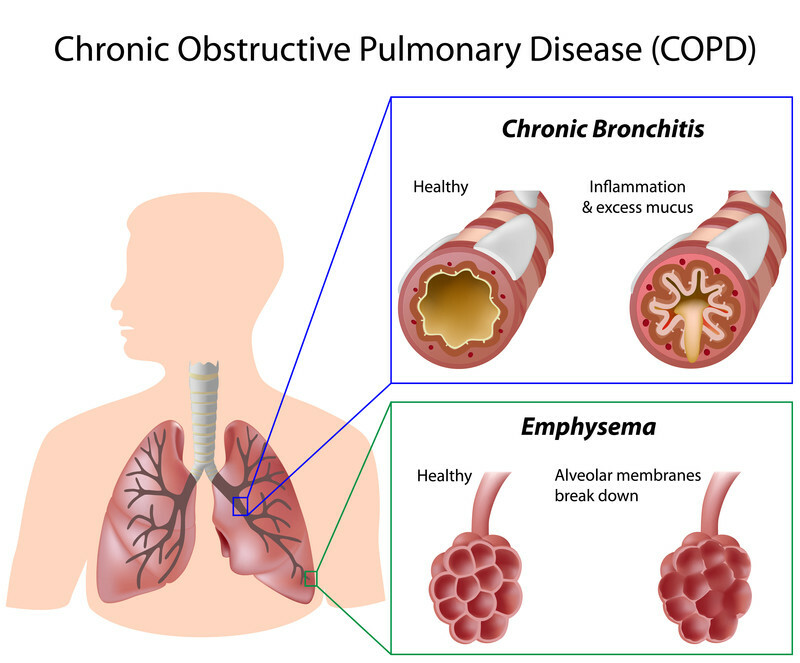 Chronic Obstructive Pulmonary Disease known simply as COPD is a group of diseases that attack the lungs and block airflow consequently leading to breathing problems. As the name suggests, COPD is progressive and this means that it worsens with time, making the patient even more dependent on drugs and medication. The most common COPD conditions are chronic bronchitis and Emphysema. Emphysema is a disease in which the alveoli or air sacs gradually get destroyed while chronic bronchitis is characterized by an inflammation in the bronchial tube linings. It is said that COPD claims the lives of 120,000 Americans every year which goes to show that these diseases need proper management. The damages caused by COPD are irreversible, but the good news is that further damage can be controlled with proper treatments. 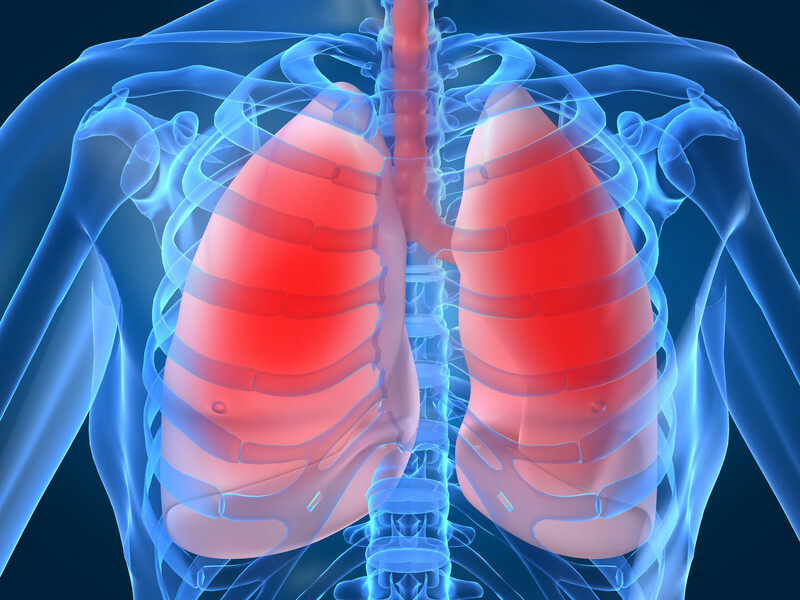 As you may imagine, COPD symptoms are related to difficulty breathing. However, these symptoms only appear when there has been significant damage to the lungs. The main symptoms include wheezing, shortness of breath, chest tightness, excess mucus in the lungs and a chronic cough which produces a clear, yellow or green sputum. Other symptoms include repetitive respiratory infections, cyanosis, fatigue and unexplainable weight loss. These symptoms seem to get worse as the COPD progresses and patients suffer from flare up episodes from time to time. Our lifestyles may be to blame as exposure to fumes either from cooking, heating or burning is acceptable. Smoking is also a major COPD cause and about 20 percent of chronic smokers will contract COPD. That said, other smokers will have less complex lung conditions but it is also important to note that COPD is often misdiagnosed. A small percentage of people are at risk of COPD due to genetic disorders which cause low levels of alpha-1-antitrypsin (AAt). AAt is a protein that is produced in the liver before being secreted into the bloodstream where it protects the lungs. Age is a major risk factor when it comes to COPD and although the disease progresses slowly, most symptoms are evident in persons aged between 35 and 40 years old. Occupational exposure to chemicals, fumes and dust could also increase your likelihood of developing COPD. As mentioned earlier, COPD effects prior to stem cell therapy have been non-reversible so treatment largely involves preventing further lung damage, relieving the symptoms and improving the overall health of the patient. Lifestyle changes therefore play a major role in treating COPD. There are medicines prescribed to help avoid flare-ups and reduce the symptoms. These include bronchodilators which help relax the airway muscles. Inhaled steroids could also be used but they are used along with a combination of the bronchodilators. Pulmonary rehabilitation, flu shots, pneumococcal vaccines, oxygen therapy, bullectomy and lung volume reduction surgery are just some of the treatments used to treat COPD. Stem cell therapy could be the breakthrough cure that COPD has been awaiting. Regenerative medicine is now increasingly being used to treat various conditions and COPD is not exempt. Studies have shown stem cell therapy to be safe in those with COPD. (Weiss et al, Chest 2013). Stem cell therapy can be used in COPD treatment by introducing adult stem cells which can differentiate various cells especially those that are healthy to improve lung functioning. The stem cell therapy can promote the formation of new capillaries leading to tissue repair. In addition, scientists believe that it is possible to produce healthy lung cells with stem cells and treat COPD fully along with decreasing inflammation. Request Appointment today for Stem Cell Therapy for COPD!